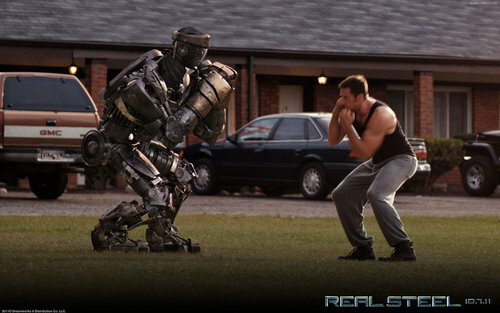 Real Steel. . HD Wallpaper and background images in the Filem club tagged: film 2011 wallpapers. This Filem wallpaper contains gawang, wicket, beret hijau, pasukan khas, askar elit, elit askar, tentera laut meterai, meterai, and mohor mohor tentera laut. There might also be pakaian pertempuran, berpakaian tempur, pemadang, fieldsman, fielder, and rifleman.